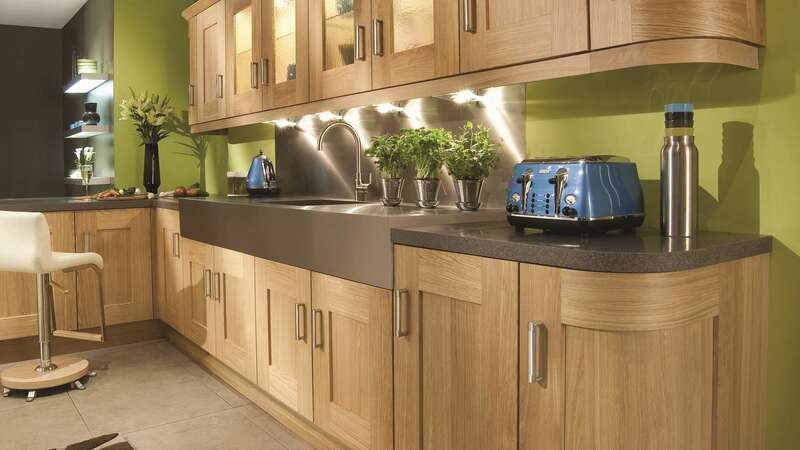 The stained light oak look works wonderfully with the Clonmel kitchen. 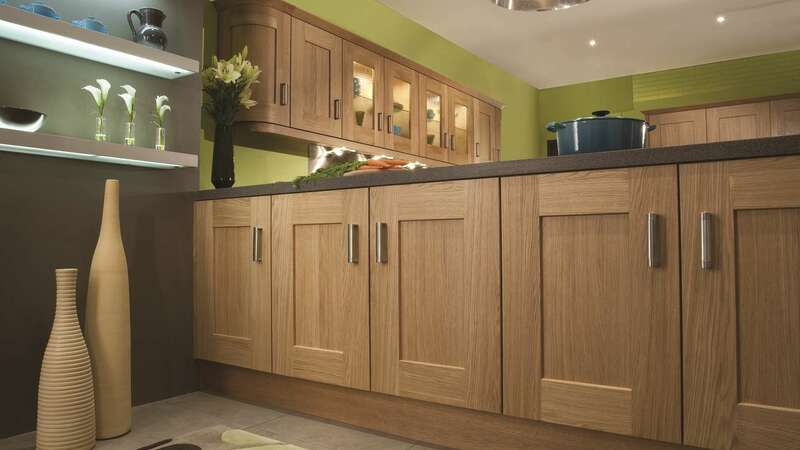 The chunky shaker design complements the stained light oak finish. 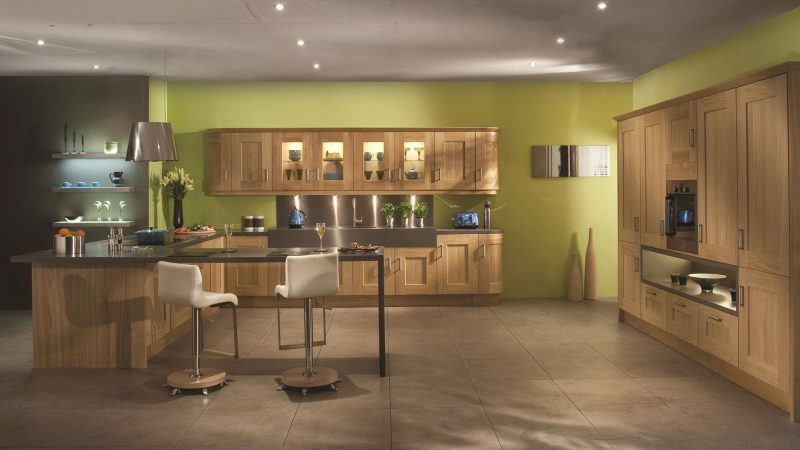 With a warm and welcoming feel, this classic Clonmel light oak kitchen comes with cupboard doors that have eye-catching veneered centre panels and timber frames.